This is the base of a perfectly normal lamp post that leads up to the village of Eze. What puzzles me is what all the stickers with the letter 'F' on them mean. Anyone know? Ah, maybe! I didn't think of that and it's logical. But why? And on a lamppost? Yes, the F looks like the Fragonard "F". I have seen similar stickers outside an art museum in Sweden. 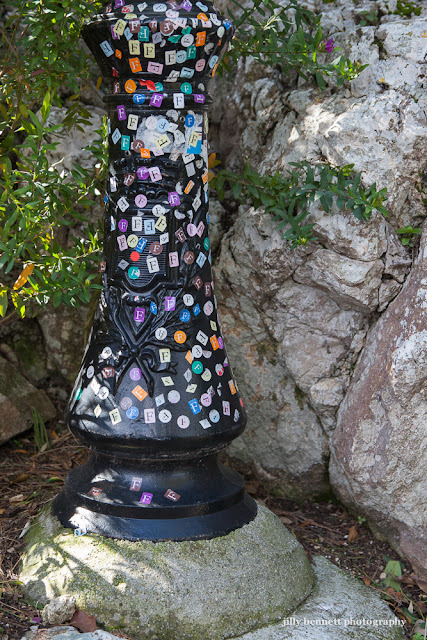 My best guess is that visitors to the Fragonard facilities in Eze get a sticker and when they leave the realm of Fragonard they abandon their stickers ..
Each group visiting Fragonard gets an F sticker, with different colors depending on group & language, I think. 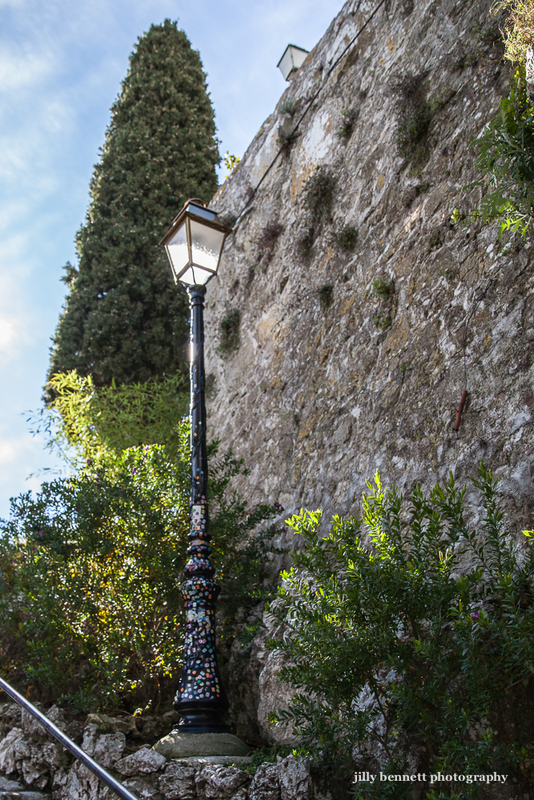 Visiting the Fragonard perfume factory is a big attraction in Eze. Bring a group, and the group leader gets a free gift. They'll ask what hotel your group stayed at the night before, so they can determine if you're big spenders or not! I got a sticker on that visit to Fragonard Perfume Factory. I put a round purple sticker with the white letter F in my sweater, later I went to Monaco yes! I want to go back. Monaco is my favorite city in the world!